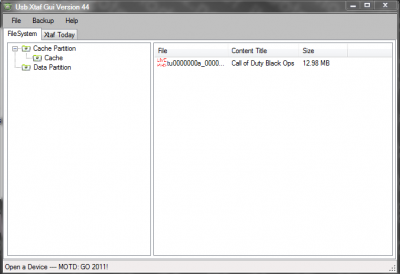 Have games installed on your JTAG that you want to apply a TU (Title Update) to? Today we will learn how to push and apply TU (Title Updates) on your JTAG. 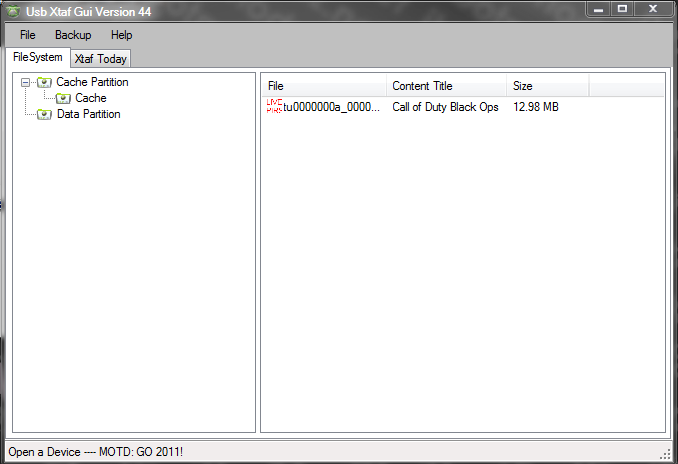 For the demo, I will be updating Black Ops from TU 1 to TU 7. 3) Now unplug your flash drive and plug it back into your computer. Open up USB XTAF and go to "File", "Open Device Selector". 4) Find your flashdrive on that list and simply open it. 5) Now your drive is loaded in the program. 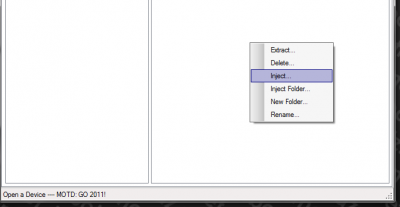 Select the "Cache Partition" and then the sub-folder Cache. 6) Right click in the open space. 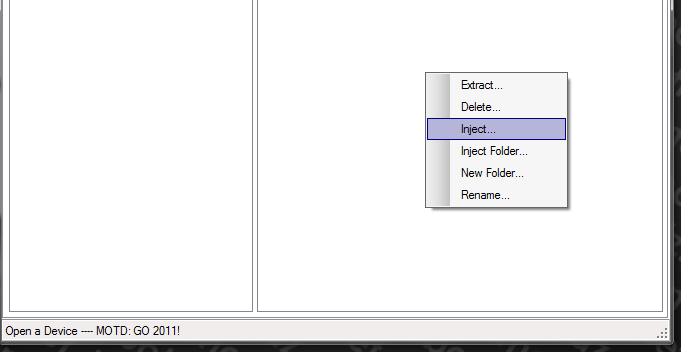 And select "Inject..."
7) We will now look for the Black Ops TU that we downloaded from XBUC. 8*) We simply selected it and a few seconds later, the TU was imported. 9) Now go to "File...", "Close Current Drive" You must do this, to prevent drive corruption. 10) Now undock/unplug the USB device and plug it back into the 360. 11) Boot the game (with the USB connected) that you wanted to update. If you did everything correctly. The dashboard will prompt you to update the game.